Harwood Art Center, located in downtown Albuquerque, offers multi-disciplinary summer art camp for youth entering grades 1-9. Since 1996, Harwood’s summer programing has fostered creativity and curiosity in young artists of all skill levels. We offer four two-week sessions throughout June and July with full and half day options each session. 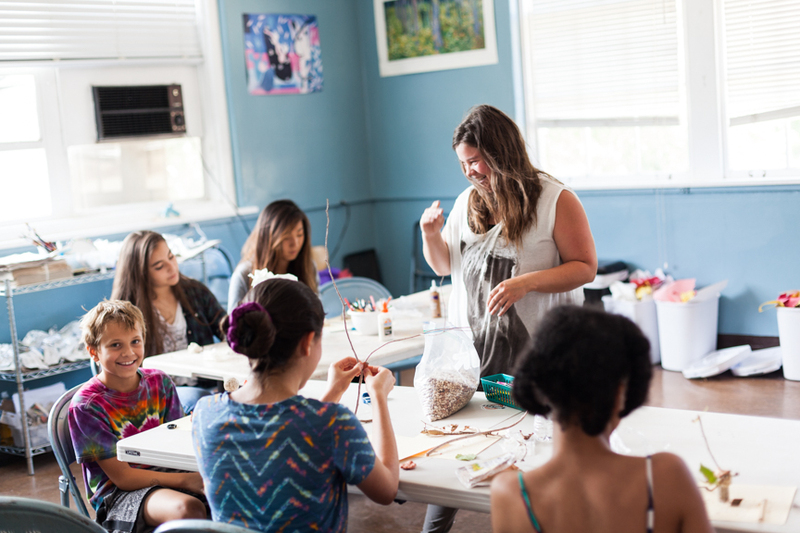 At Harwood Summer Art Camp, campers in grades 1 – 9 will immerse themselves in the arts with a group of inspired peers and accomplished instructors. They will experience a range of exciting activities in a positive, supportive atmosphere. From ceramics and painting, to theater and music, imaginations are unleashed. Summer Art Camp opens doors to new experiences and creative innovation, engaging students in the visual and performing arts. It is an adventure your children will remember for years to come! Harwood Art Center is located at 1114 7th NW (7th St. and Mountain Rd.) just north of downtown Albuquerque. Activities take place in Escuela del Sol Montessori and Harwood’s classrooms, theater and dance studio. Harwood Art Center is committed to ensuring that every child who has a desire to attend Summer Art Camp is able to do so without financial barriers. We are proud to be able to offer scholarships through the generosity of Marble Brewery, A Good Sign, The Bram Family, The LEF Foundation, and private donations.